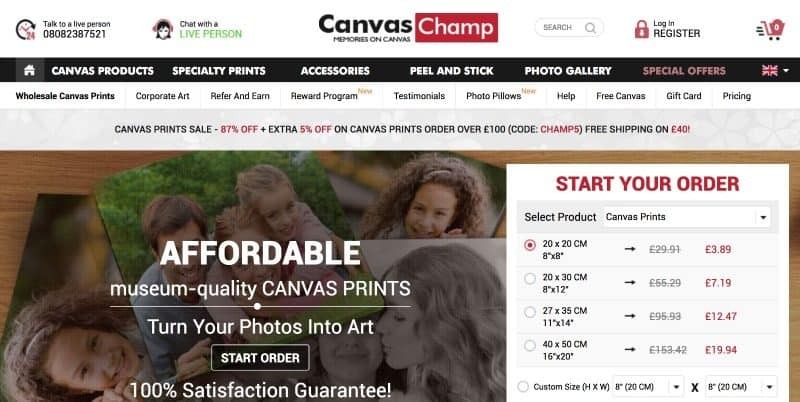 You know, I’ve been talking a lot recently about what we do with all those photos and videos we save on a phones and computers so it seems like a great time to introduce you to CanvasChamp, the online photo print service I’ve been testing out recently. When they reached out to me to see if I would like to receive a canvas print from their website, I knew exactly which photo I wanted to use. I have a lovely picture of the girls together from our holiday in Devon and it really captures the happy memories we made on that trip. Adding it to the CanvasChamp website was so easy and the whole process takes just a few minutes. I just started my order on the website, and then was taken to the screen where I could upload my photo. There’s a few different choices of products, and you could create a canvas wall display or photo mosaic if you wanted. For this review I selected a 12*8 canvas print. I was really impressed with how fast my photo uploaded from my computer, but you can also use Facebook or Instagram images if there are photos in your social media you are keen to share on canvas. There’s a good range of wrap styles and borders available, but personally the wrap canvas is my favourite. Hooks for hanging are included in the price, but if you want an easel or dust back cover for example they can be purchased at an additional price. There are some photo enhancements like red eye reduction or colour enhancing available in the editor, but there is an additional cost. If you are confident with a photo editor I would recommend using this first. Lamination is available at extra cost per print. I was was really impressed with the speed of the website and how easy it was to process my order. Prints start at just £3.89 so you can print out lots of photos with a relatively small budget. They also have personalised photo cushions available which begin at just £8.75. I was also really impressed with the canvas photo print when it arrived. It arrived well wrapped and in perfect condition. Delivery costs £4.99. The canvas itself is great quality and the photo is crisp and clear. 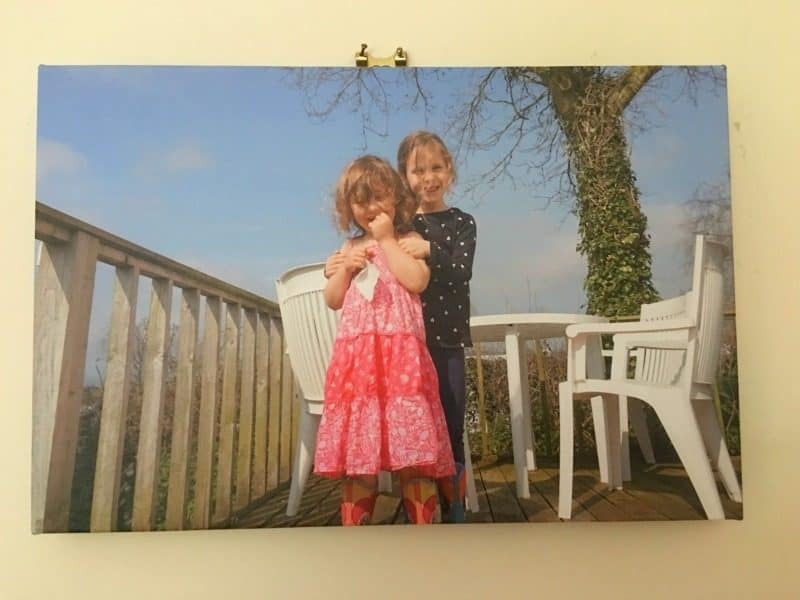 My husband has decided that he’s going to give it to his parents which I’m a little sad about, but it actually spurred me to go back to the CanvasPrint website and order some more photos. If you register on the website, you will receive a code for a free 8*8 print to use when you purchase 2 products. I’ve used this offer and I now have 3 prints on the way and it’s cost less than £16 including postage and packaging. I’m so keen for you to try out CanvasChamp’s website that I am giving away a 10*8 canvas print to one lucky Zena’s Suitcase reader. 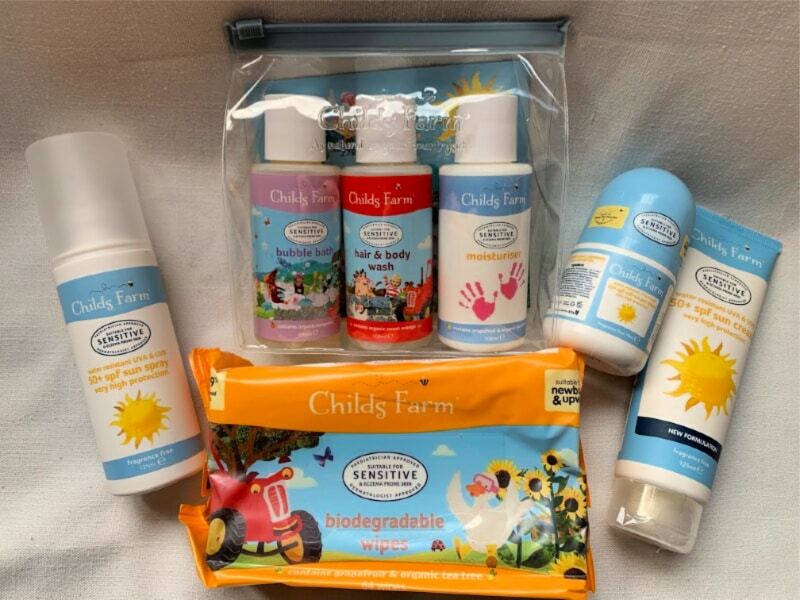 All you need to do is enter via the rafflecopter below to be in with a chance of winning. Thanks so much for stopping by and best of luck! Competition closes 5/6/18. Other T&Cs apply. A family photo of me and my children and our dogs – as we are all looking at the camera! My dad took it! A lovely photo of my two nephews with their heads together peering at a crab. Quite rare to find them not fighting! A picture of my kids on the beach as they look so happy. I have a special photograph that i took of a Cornish Lugger during a regatta. The sunlight on the sea captures the Cornish setting perfectly and i have always wanted to see this picture on canvas and up on my wall so this would be my choice. We are having a really difficult time at the moment with my husband so would love the photo of us on holiday with our daughter during happier times as we hardly see him anymore. I have a beautiful photo of my Beagle at his previous owners’ wedding last year, and it would be great to give them for their first anniversary. 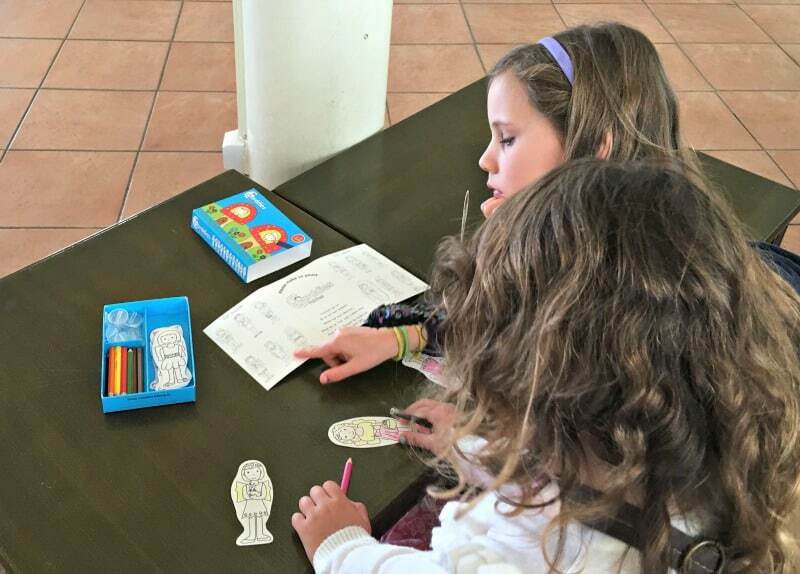 One of all my family on holiday in Portugal – all 3 generations! I would put the picture of my boyfriend and I on our first holiday last year onto it. It has a perfect view of the sunset in the background, it’s one of my all time favourite pictures! a photo i took on our grandaughters first plane ride lol her face was a picture! I’d print one of my children, taken a few weeks ago on a weekend away. I love it because they’ll all look like they enjoying themselves. I think it will have to be one of my two girls…. I’d print a photo of my two children when they were 11 and 9 carrying tack ready to go horse riding when we were on holiday. I love the picture because that hacking session they had cemented their love of horses and they both have gone into the industry. I’d choose one of the Lake District because it’s such beautiful scenery. One of our wedding photos. It is my favourite as it shows the whole family together. Will be a photo of both my children hugging. Such a sweet photo of my precious babies. i have a photo of all our walking boots lined up outside the door on holiday in the Lake District – i love it because it reminds me of a lovely holiday but mostly it really shows us as a family – doing what we love – being together and being outdoors. I would photo of my family with Mickey mouse on the canvas as it brings back great memories that photo. I’m really in love with our two cats, think they’re the best thing since sliced bread, so it’d have to be a pic of them together! A photo of my daughter with her cousins to give to their grandfather, because it would make his day. A photograph of Mount Fuji when I got to visit Japan, so lucky and such a fantastic time. A picture of my two from when my youngest was newborn. They bonded straightaway and it’s lovely to see! I went to South Africa a few years back and I held this toddler in a township, he was so full of love and it was a memory that I will carry forever. A photo of my three nephews, and two nieces, and my dog. It was just nice to find a picture of them altogether. it is a photo of my kids playing on the beach as the sun sets and it is special because it was taken on our first holiday in four years! I have a great picture of my nephew. I would use that. I would choose our favourite wedding picture, we never did get it piton canvas like planned. I’d have a photo of my partner and I, as we don’t have many photos of us together and would love to display one. One of my children all together. I picture of my daughter’s wedding. It was amazing and this would be a delight to have hanging in my home as a lovely reminder of the day. It would be the photo of my two boys, aged about 6 and 8, laughing together. I’d love to print a photo of my cat. He’s such a babe. I’d print a recent wedding photo as it’s a precious memory that will only happen once. id have my treasured family selfie from Warwick castle printed onto canvas! would look lovely on my wall at home! Id love it because im away from home and would love to see them eveyrday! I’d print a recent family photo of our holiday to Cyprus when we visited Pafos zoo as it is one of the few photos featuring us all! I’d print on the canvas a picture of me and parents as my father is no longer alive and need something good to remember us. We got married last year so we’d get once of those printed. I would have a picture of my two daughters. Not a posed one. A cheeky little monkies one, that would make me grin every time i saw it. I would print a family photo of our holiday to Spain last year. A photo of my wee boy swimming for the first time. such a great memory.